Do not risk your online security with free VPN for Android. What’s Special About Le VPN´s VPN App For Android? Thanks to its affordability, availability and user-friendly system, Android is the current trend in the market. Your VPN, if a dependable one, will guarantee a 100 percent internet connection in all weather conditions and geographical locations. Needless to say, it will also guarantee your phone against malware on public Wi-Fi and free VPN for Android. If you want to enjoy uninterrupted and unrestricted internet connection on your Android or iPhone, nothing is better than Le VPN’s VPN app. Le VPN offers a Virtual Private Network, or a VPN app, for its Android users. Rest assured that Le VPN’s Android app is extremely safe to use. And it can be installed on your device to protect your internet connection and your sensitive information as well. You will be assured of complete security, as the app encrypts the Internet connection on your Android device. 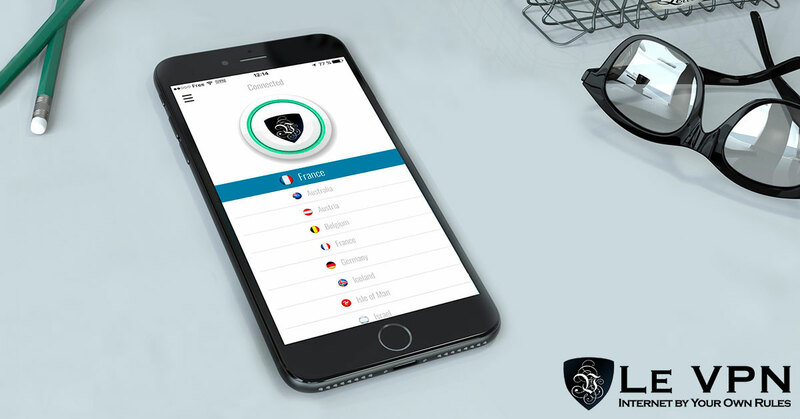 Additionally, Le VPN protects all your data from online threats. All the information on your Android device will remain confidential. This is because no traffic logs are stored by Le VPN. Generally, the free VPN for Android comes with no actual protection; however, expect better results with the Le VPN for Android. Connect your device to Le VPN’s VPN server in 114 countries. This allows you to enjoy unrestricted website access without Internet censorship and content filters. You can also watch the media, which reserved for other countries and live events. With Le VPN, you can anonymously browse the internet. As a result, you are sure of complete identity protection and location privacy. Access Le VPN online for Android app with a simple one-tap connection in five languages – English, French, Spanish, Italian and Russian. Easily, you can install your VPN on Android phones and other multi-protocol support such as the Android OpenVPN on the Le VPN app, and PPTP and L2TP over IPSec by manual installation. Enjoy high-speed, stable internet connection and unlimited bandwidth for fast and unlimited downloads simultaneously on two Android devices, such as on your computer/laptop and your Android phone/tablet at the same time, which is something not feasible on free VPNs for Android. Though the Le VPN app for Android should not cause you any issues as such, you can always reach out to a supportive customer care team who will promptly reply to your queries, something you can’t expect from free VPN for Android. 3. How To Install The Le VPN App For Android? There is no need of any extra software installation on your device. And you can simply download the app from Google Play Store. Choose your plan and create an account. Or log in with your details. Additionally, you can enjoy a free 7-day trial for new users. Select your country, and tap the button, which will turn green when connected. Use the Black Friday promotion (November 20-26), to get Le VPN services for just $69.60 for two years. So, subscribe Le VPN service now, and grab the great deal.